Moroccan rugs may be very thick with a heavy pile, making them useful for the snow-capped Atlas Mountains; or they may be flat woven and light as to suit the hot climate of the Sahara desert. The nomadic Moroccans and Berber tribes used these pile, knotted, and flat-woven carpets as bed coverings and sleeping mats, as well as for self-adornment, and burial shrouds. 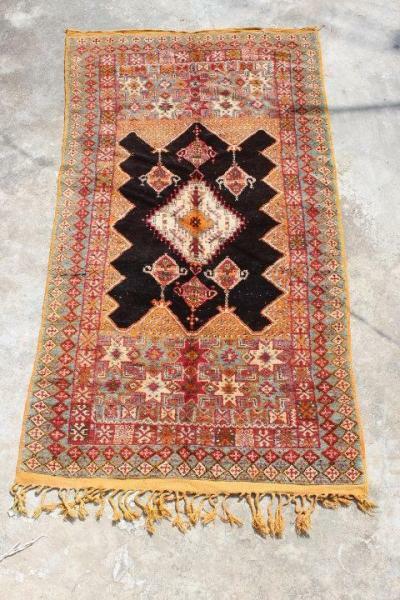 Some of these rugs were also used for as saddle blankets. The designs that most frequently appear in Moroccan rugs are traditional and ancient, passed down from weaver to weaver.